I spend the later half of the day at Universal Studios yesterday. It was a Mardi Gras day and Kelly Clarkson was set to perform at 9:15 p.m. It was more than a little crowded as the night went on. Most were there to see the concert. 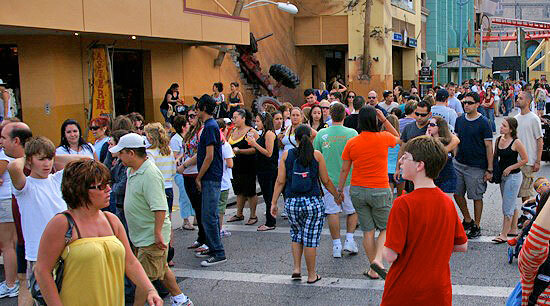 By 5 p.m. when they started letting people into the concert area, the line was all the way down the street past Twister. I was told that some had been in line since 9 a.m.
Kelly came out on stage around 4 to do a mike check. She sang most of a couple of songs. This is all of the pictures I have of her from last night because when the concert started I wasn't near the stage. It was so crowded at that point, there was no getting in. 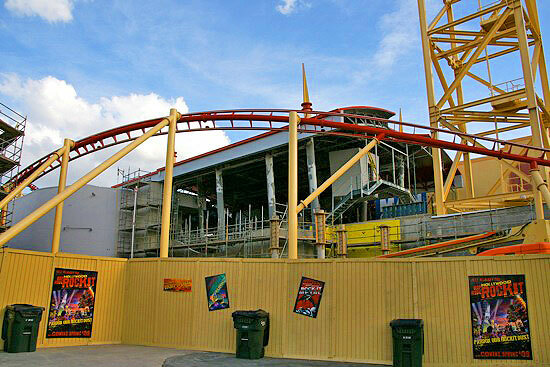 A look at the continuing construction of the Hollywood Rip Ride Rocket coaster. 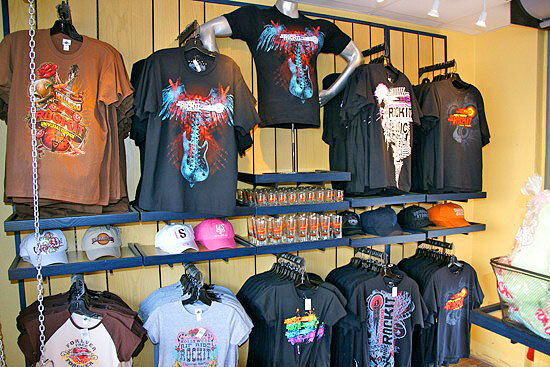 A merchandise area near the stage area was already selling merchandise with the new coaster's logo and name. 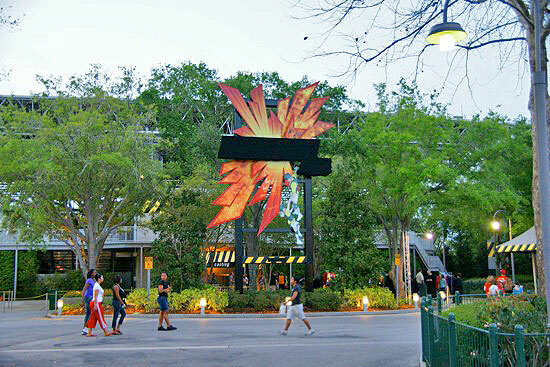 Universal has said the Fear Factor attraction has been closed down seasonally. But now I see the name has been covered up. Is it gone for good? 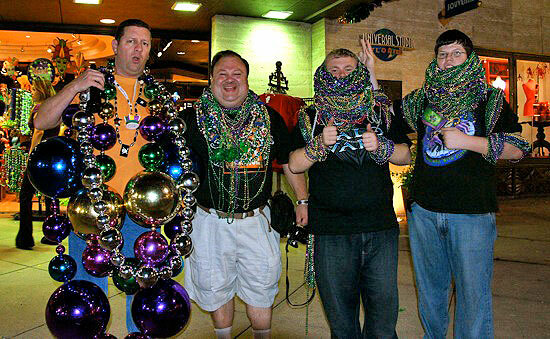 These guys appeared to have overdosed in the Mardi Gras spirit with these abundance of beads. 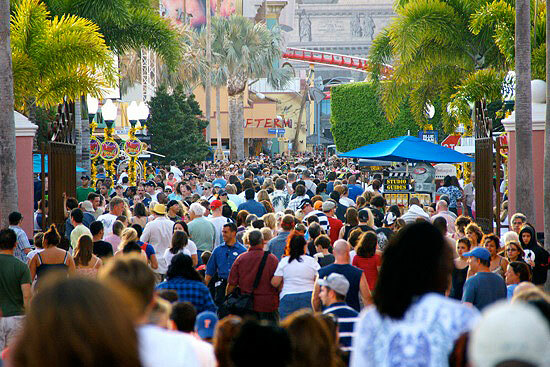 • For more pictures from Universal Mardi Gras, visit our Photo Gallery. • For more pictures of Kelly Clarkson and other American Idol stars, visit our American Idol Experience opening Photo Gallery. I have a “few” photos from kelly clarkson if you need them… great photos like always!